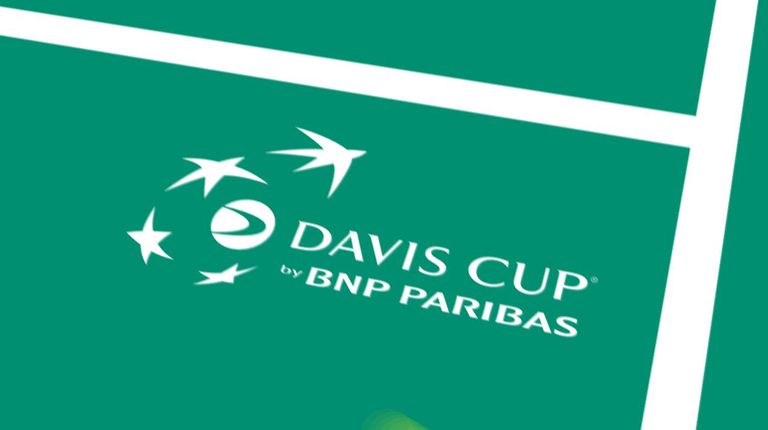 The World Group quarterfinals of the 2017 Davis Cup will take place over the weekend, as a host of global tennis powers will battle it out to advance further in this legendary team competition. Here is your preview, with predictions, for all the action. On indoor hard, in Belgium, the pairing of Steve Darcis and David Goffin that leads Belgum should have an edge against Italy’s Paolo Lorenzi and Andreas Seppi. Rounding out the teams are Ruben Bemelmans and Joris De Loore for Belgium, and Simone Bolelli and Alessandro Giannessi for Italy. Italy may be able to win a rubber or two, but they are at a clear disadvantage against the best team Belgium can field. Nick Kyrgios, fresh off a great run of form in the Spring hard court Masters returns down under to Brisbane to lead Australia on hard courts against team USA. Joining him will be fellow young gun Jordan Thompson, and a doubles pairing of Sam Groth and John Peers. Team USA has it’s #1 and #2 Jack Sock and John Isner, with Sam Querrey and Steve Johnson once again returning for at least doubles action, and possibly singles play if Jim Courier opts to bring them on. With both Sock and Kyrgios playing well, the winner of their match, likely taking place on Sunday, could decide the tie. Australia will need to win the doubles and Kyrgios will need to run the table, as Thompson is at a disadvantage in singles. Despite being at a disadvantage with travel, team USA should be a slight favorite. On clay in France, Lucas Pouille and Jeremy Chardy will be slight favorites in the singles against Team GB’s pairing of Kyle Edmund and Dan Evans. The doubles tie will feature prominently in this cross-channel contest, with Julien Benneteau and Nicolas Mahut slated to face Dominic Inglot and Jamie Murray. Despite team GB’s edge in doubles, the French team should be able to win three of four singles ties on clay, securing a victory for this strong squad. On indoor hard courts in Serbia, the home squad looks to have an advantage with Novak Djokovic returning from an elbow injury to lead his country. The legendary Djokovic is joined by fellow Davis Cup veteran Viktor Troicki, and doubles specialist Nenad Zimonjic, with Dusan Lajovic in reserve for team Serbia. Spain has Pablo Carreno Busta, Albert Ramos-Vinolas, the young Jaume Munar, and doubles specialist Marc Lopez. Spain may be able to pull off an upset or two, but Serbia has the stronger squad, home advantage, and should prevail with relative ease. in Americas Group 1 Brazil, led by ATP regulars Thomaz Bellucci and Thiago Monteiro, travels to Ecuador as favorites, in large part thanks to their top 10 doubles team pairing of Bruno Soares and Marcelo Melo. In Asia’s group 1, Mikhail Kukushkin and Kahazhkstan play host to China, India, which features the steadying presence of Rohan Bopanna hosts Uzbekistan. In Europe/Africa group 2, Marsel Ilhan vs. Elias Ymer will be a key matchup as Turkey hosts Sweden, Nikolosz Basilasvhili’s Georgia faces off with Lithuania, Casper Ruud leads Norway at home against Denmark, while South Africa hosts Slovenia. In Europe/Africa Group 1, a weakened Ukrainian team should get rolled by Joao Sousa’s Portugal, Austria’s Melzer brothers will look to knock off Belarus and Damir Dzumhur’s Bosnia will face off with Robin Haase’s Netherlands.